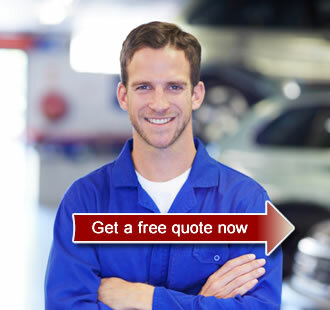 "It's like having a mechanic on standy"
Why choose to extend your motor cars warranty? Do You Need a Motorite Maintenance Plan or Service Plan? There’s a common misconception that in the world of luxury sedans, owning a Mercedes Benz is going to cost you an arm and a leg. It’s fair to make this assumption, as it’s one of the most desirable and iconic automotive brands, which are quite frankly, expensive to purchase new. But once past that hurdle, or perhaps you’ve opted to purchased a used Mercedes, then it’s good news. Mercedes Benz Service parts are the least expensive out of all the top luxury brands (Volvo, BMW, Jaguar, Audi). So it’s fair to say that a Mercedes Benz Service Plan is actually quite affordable. If we look at the table from the Kinsey Report (www.kinseyreport.co.za) and we go to the Auto Executive Saloons (Luxury Sedans) which compares the cost of the new vehicle to the cost of service parts and common accident damage parts (referred to as a Basket), we see that Mercedes comes out second only to Volvo for a Basic Service (Sub Total A:) and First place or cheapest for a Major Service (Sub Total B:). And these are for original parts from the agents too. If you were to do a little shopping around you could no doubt find a comparable Air Filter from GUD or some other top brand that would bring the cost down to beating Volvo’s basic service price. Please note that the Sub Total C: refers to the total cost for replacement body parts – doors, grilles, headlight assemblies etc which is mostly used for assessing accident damage. In this part of the basket, Mercedes Benz scores poorly, or is the most expensive for things like a new bonnet, aircon condensers, rear bumper skin and the boot lid – but these are not service parts and are almost never replaced unless you happen to make a habit of driving into poles regularly. Let’s hope not! OK, so what does this have to do with Mercedes Benz Service Plan Prices? Well it’s quite simple, a typical service consists of 2 major costs – replacements service parts and the time taken to do the actual service. If you consider that all makes of luxury cars will take approximately the same time to service, then it’s really only the cost of parts that differs. In some cases their are specialist oils and additives that have to be used (transmissions and differentials for example) but for the sake of comparing like for like, the Kingsey Report shows us that for both a Minor Service and Major Service – the cost of Mercedes Benz Service Parts are cheapest in class. Therefore the cost of a Mercedes Benz Service Plan would most likely be cheaper than say a BMW or Jaguar. So if you’re considering buying a used Mercedes – go ahead, it’s not going to cost you any more to keep it running than other luxury cars in it’s price segment. Our Service Plan will keep you on the road for years to come. And the cherry on the cake – you don’t have to use Mercedes Air filters or Oil Filters – your service center will be able to source top quality aftermarket service parts that will more that adequately perform the task of cleaning oil and air. There’s a great deal of confusion between a motor maintenance plan and a service plan. That’s understandable because these sort of contracts only became mainstream in the past ten years or so in South Africa. And what makes them even more confusing is that the sellers of these products usually combine them into one contract. This article is here to demystify the two. (1) a motor plan, usually encompasses more benefits for the buyer than a service plan by including a maintenance plan and sometimes a car warranty. Under the maintenance plan section, your contact would possibly include the regular maintenance of the wear and tear of your motor vehicle parts. These components could be the gearbox, clutch, suspension; brake pads and discs. Usually, whatever is not covered in a service plan, is covered in a motor maintenance plan. With a maintenance plan, the various companies require that your car be not older than five years or have more than 120,000 km on its odometer. (2) a service plan works similar to a maintenance plan, but can as mentioned above, can both be part of an all-inclusive motor plan. The service plan covers all the costs involved with the regular servicing of your car as stipulated by the vehicle’s manufacturer. Basically, when the car has to be serviced, this section of the plan kicks in, and you do not have to worry about the costs involved. Usually, the service plan runs for cars that are not older than 8 years or have been on the road for longer than 180,000 km. NOTE: Your personal information is confidential, and we will never rent or resell it to anyone. It will only be used to call you back and then provide you with a motor warranty solution. Both motor and service plans are non-insurance products. This means that you do not have to claim on the event of a uncertain occurrence. The payout for the money you purchased either plan for is payable at pre-determined, certain times/occurrences. A car warranty on the other hand is a special insurance product. And when all three are grouped together, they are sometimes referred to as motor plan insurance (the insurance part owing to the inclusion of a car warranty). We hope that clears some blurred lines about the motor plan vs service plan topic. Do you know the difference between a Service Plan, a Maintenance Plan and a Warranty?